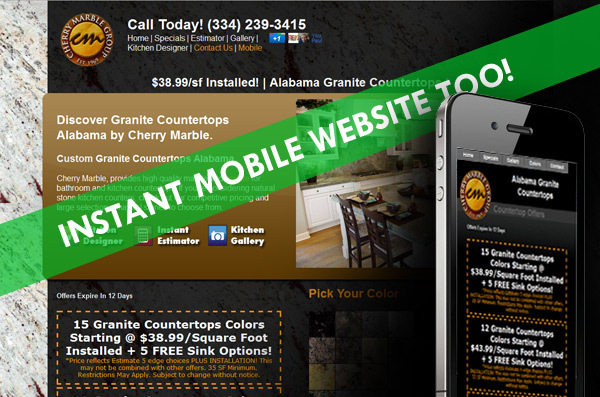 When you Sign up with GraniteMakeover.com Lead Program and mark your local territory the website containing your information is immediately available through the mobile version of the website. This mobile site is designed specifically for smartphone devices and the mobile internet. You dont have to manage or even pay for multiple websites when our sites immediately provide the best of both worlds. We provide the best user experience for all device types. When a customer hits the home page of the website on a mobilde device they are immediatly shown the mobile version.